Mongolia is roughly the size of Alaska and is bordered by Russia to the north and China to the south. Mongolia is the least densely populated country in the world. It has an extremely diverse terrain—vast semi-desert and desert plains, extensive grasslands, unbroken larch, and pine forests, and high mountains. The three fishing camps are in the midst of fertile valleys, thick forests, and surrounding mountains. This terrain is inhabited by some of Mongolia’s elk herds, as well as wolves, roe deer, moose, and bear. The last three taimen world-records were landed here on a dry fly. 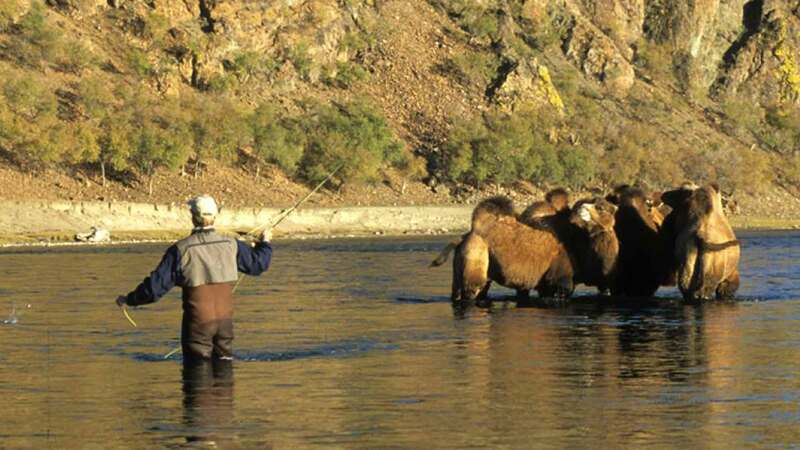 Since 1995, our outfitter has offered taimen fishing trips in Mongolia. 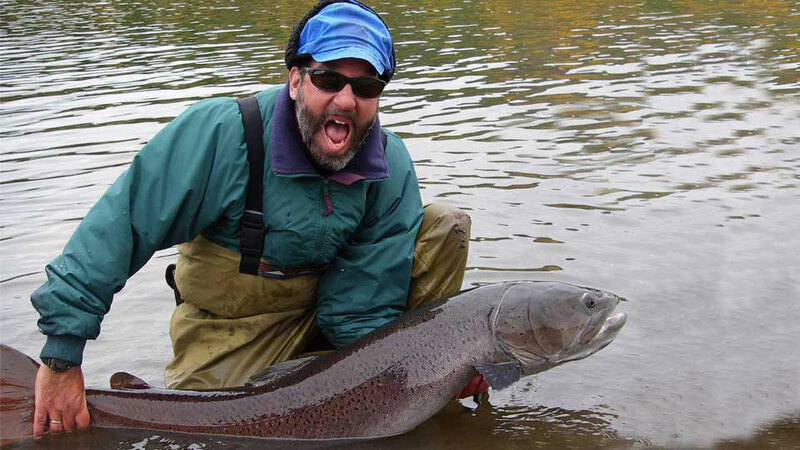 Taimen are the largest fish in the salmon family on earth, reaching lengths of over 60 inches! Aggressive and known for their explosive strike, taimen sometimes leap out of the water on the strike. It's easy to pull too soon. Keep stripping until you feel the weight of the taimen, then strip-set the hook. If you miss, get that fly back out there. 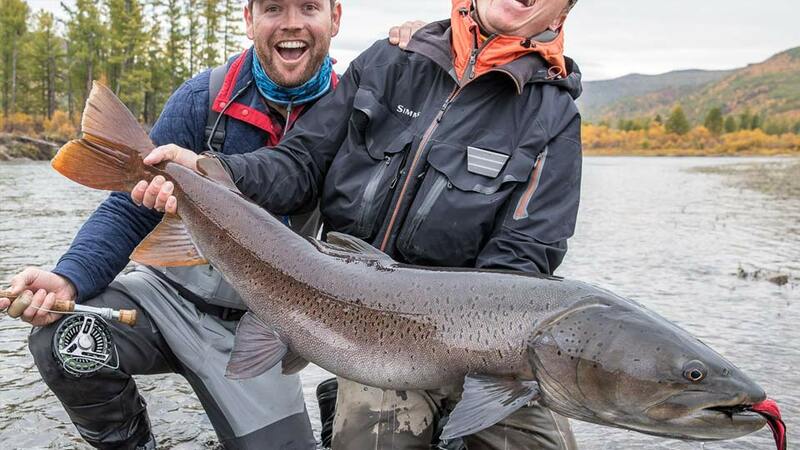 Chances are this aggressive fish will pound your fly again! Although taimen primarily eat small fish, they will eat almost anything they can fit in their mouth, including small mammals and even ducklings. The Fishery: The camps combine a friendly atmosphere and plenty of fishing water. Each camp has access to over 75 miles of water. Fly-fishing-only with single barbless hooks, and catch-and-release only. It's hard to imagine that these large prehistoric fish live in these waters. The rivers are clear and easy to wade, a fly angler’s dream. The banks are easy walking, ranging in size from 40 to 120-feet wide. 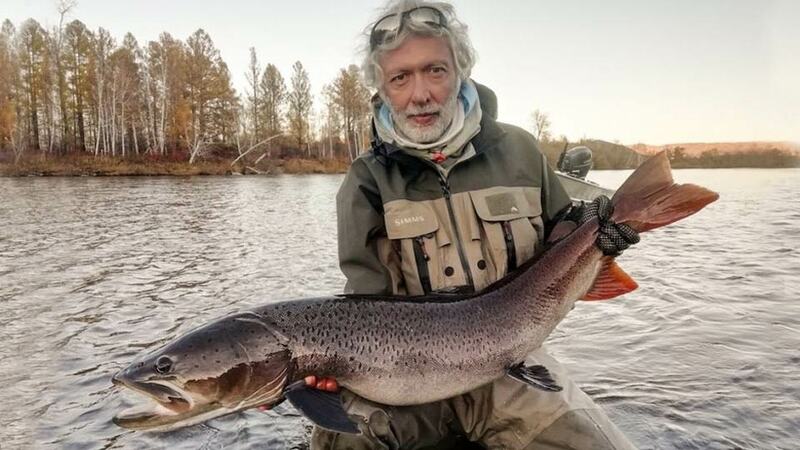 Oddly enough, the largest taimen to date, a 62-inch fish was taken on a mouse pattern in a particularly narrow stretch of the river. Taimen, lenok, Arctic grayling, and Amur pike are all present in the region. 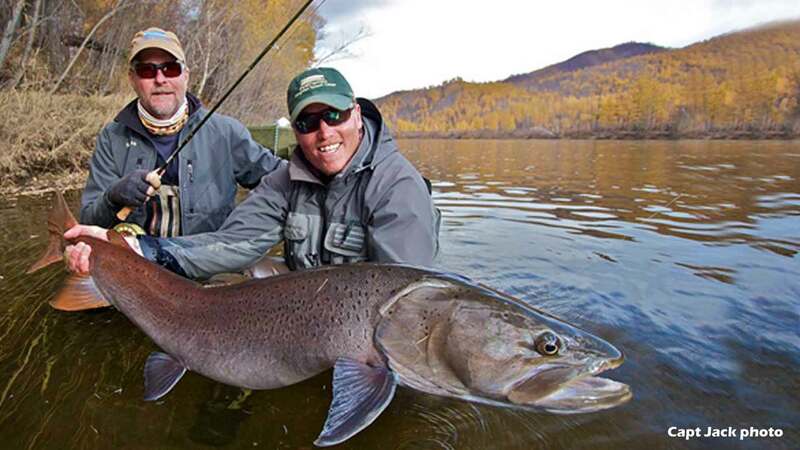 Here, most taimen caught on a fly are between 25 to 40-inches and roughly 10-pounds. However, almost every week, anglers will have chances on fish over 50-inches. 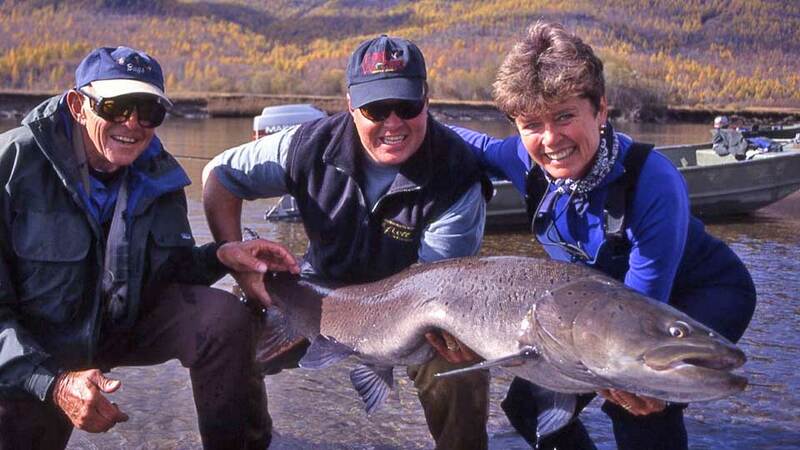 The camp record is a 62" taimen, weighing between 60-and 80-pounds. 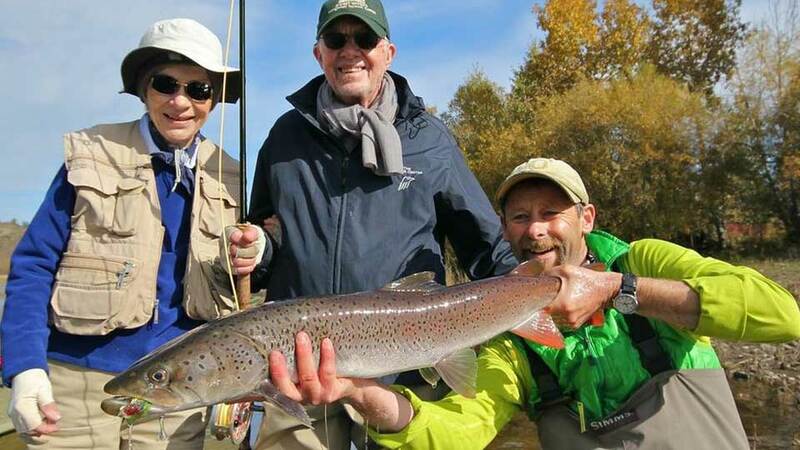 2018 Season Report: Anglers caught an unusually large number of 32-to 42-inch taimen which means the camp should see robust numbers of even larger fish in the 2019 season. The 2019 season runs for four weeks, from September 2 to October 2. Group size: Camp is limited to six anglers per week. Lenok In appearance, Lenok look like a rainbow trout with the mouth of a tarpon. Lenok average 18-inches, and are very entertaining on lighter fly rods. Larger lenok often dine on mice patterns and streamers. During hatches, two things become apparent; one, the rivers of Mongolia are full of 12-to 18-inch grayling; and two, taimen consider grayling a delicacy. Like the lenok, grayling provide good sport and action on dries. 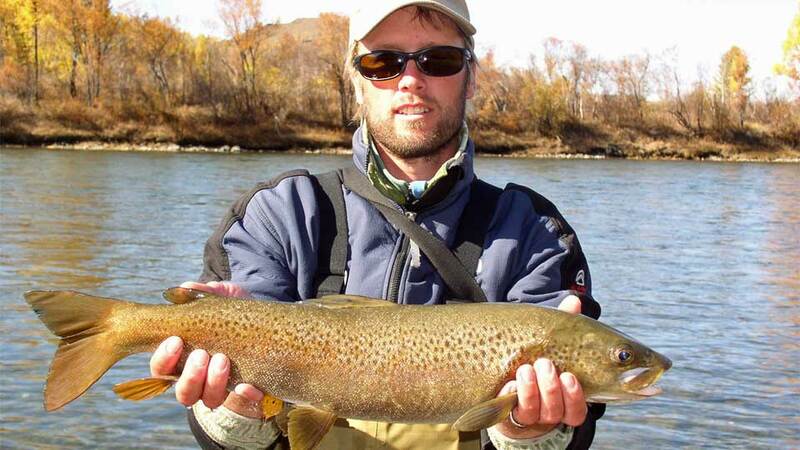 Fish for them like you would Montana trout--in early fall, they like terrestrials and in late fall, they like mayflies. When the Lenok are feasting on mayflies, Taimen are often feasting on Lenok. Boats: Fish from 18’ aluminum Semi-V Lowe boats, powered by 55-h.p. Mariner jet units, with two anglers per boat. You'll mostly be wade fishing. However, Atlantic salmon-style drops are possible for anglers that enjoy a break from wading. Each boat is equipped with life jackets, tools, an emergency kit, and a cooler for food and drinks during the day. 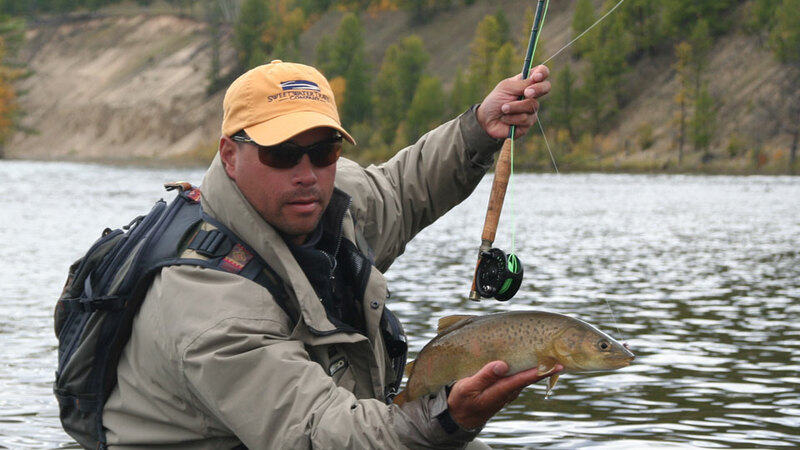 Guides: Personable, English-speaking guide staff (many who live in Montana) all with at least ten years experience in high-quality lodges and camps. Fishing Equipment: A comprehensive tackle and gear list is included in our confirmation packet. Fishing Licenses: are not included in the package, and run approx. $330.00. Lunch is served at the Lodge or a shore lunch of barbecued steak, venison or pork by your guide. 6:00 p.m. You'll return to the camp. Hot showers. 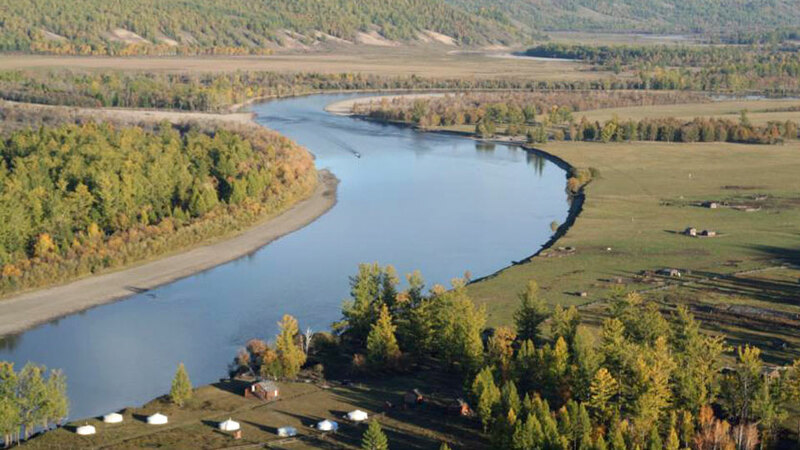 Situated on nice stretches of river in the remote outback of Mongolia, the camps are strategically located to enable anglers to access over 120 combined miles of river by jet boats. These remote camps have very limited access to the outside world, which enhances the fishery and the adventure. 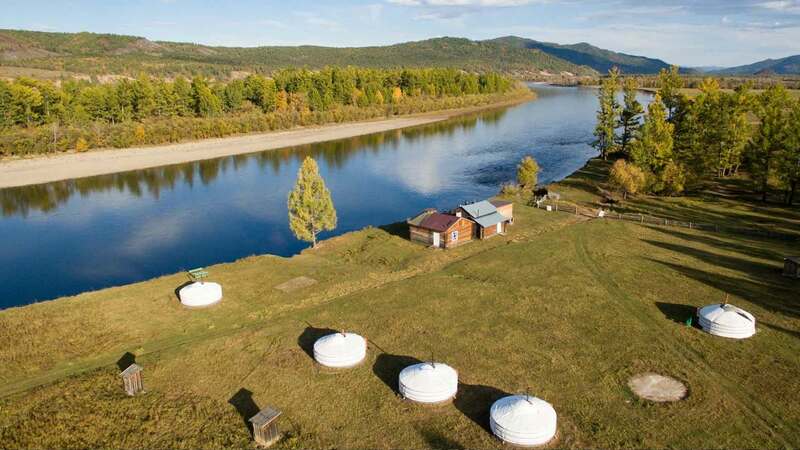 Each camp has gers (yurts), a dining lodge, bathhouse, shower facility, and two masseuses and are the most comfortable fishing camps in Mongolia. 110-volt electricity is supplied by an on-site generator and is available for charging video cameras, satellite phones, etc. There is no cell phone reception; however, they do have satellite phones. Each ger is 9-feet high by 18-feet wide and accommodates two anglers. 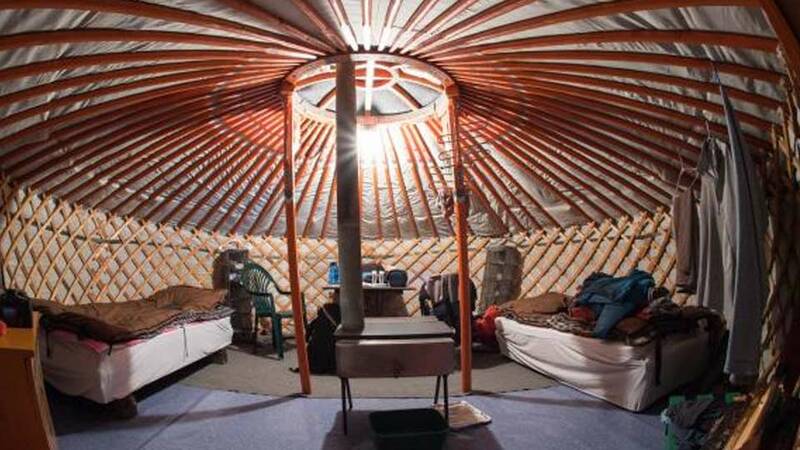 Anglers stay in traditional Mongolian gers which are felt tents wrapped around a collapsible wooden frame.Each yurt has two single beds, plenty of room for your gear, hot water for washing your hands and face, and a sitting area by the woodstove. 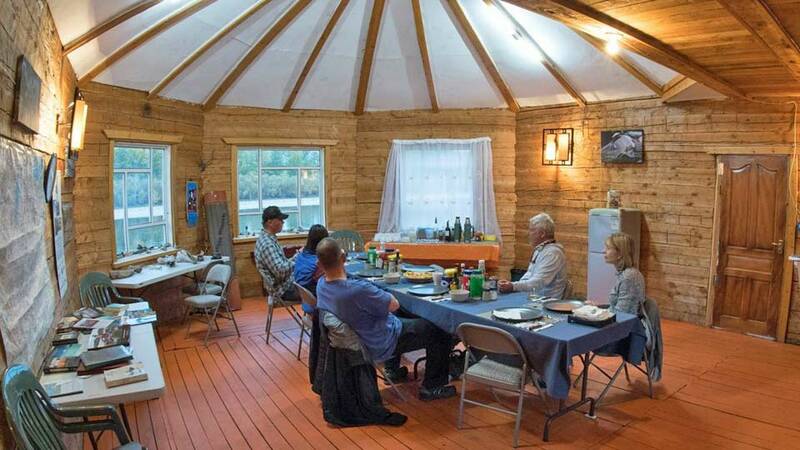 In the dining yurt, you'll enjoy meals prepared by a professionally trained chef and fresh produce from Ulaanbaatar. You’ll be met at the airport in Ulaanbaatar, Mongolia by a representative of Hovsgol Travel Company. See sample itinerary below. 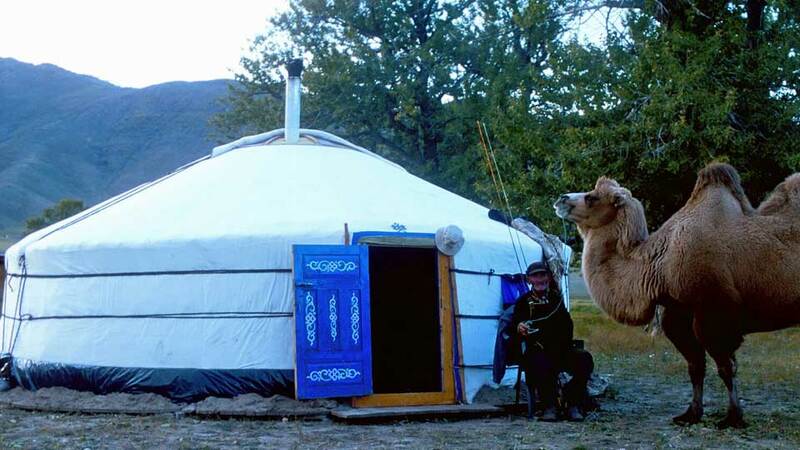 Airport transfers in Mongolia, first and last night hotel stay in Ulaanbaatar, breakfast is provided with the hotel, ground transfers to and from camps, 6½-days guided fishing, lodging, meals, including beer and occasionally wine at camp. Airfare to Mongolia, meals in Ulaanbaatar, gratuities, fishing license ($330.00), or incidental expenses incurred in Mongolia, and anything not mentioned under inclusions. Each camp has a full-time translator and guide who can accompany you on non-angling activities. From these camps, you can ride horses, do some birdwatching, visits local villages and schools, and visit families that still live a nomadic lifestyle. Each camp has horses available for easy access to the backcountry that awaits only minutes from camp. Sunday: You'll arrive in Ulaanbaatar, Mongolia via Seoul, South Korea, or Beijing, China. You’ll be met at the airport by a representative and driven to the Hovsgol Travel Hotel, where you'll stay your first night. The hotel is located near downtown and has a Brazilian barbeque restaurant on the main floor. Dinner is on your own. Monday: Transfer to the airport for the flight to camp. Travel from Ulaanbaatar to the camp is either by helicopter or fixed wing charter. If flying by helicopter, you will fly directly to camp by helicopter. The flight is approx 3 hours. If flying by fixed wing, the flight is 1.25 hours, and you land on a runway about an hour from camp. If time allows, you can fish upon arrival. Tuesday to Sunday: Six full days of fishing at camp. Monday: After breakfast, you’ll fly back to Ulaanbaatar. You'll again spend the night in Ulaanbaatar at the Hovsgol Travel Hotel. Dinner is on your own. Tuesday: Transfer to airport for return trip to the U.S. via Seoul or Beijing.